I feel badly that I haven't blogged about anything substantive lately but at least I brought the pretty! 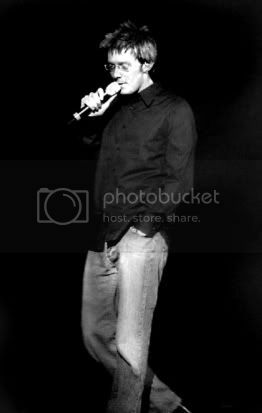 This is a Flash movie of some pictures of Clay Aiken that I altered in Photoshop to make them Ansel Adams like dramatic black and whites. You definitely bring the pretty. Clay is just so fascinating to look at. Love the black and white. Thanks! It was worth looking at the hot pictures! And one of them was one that I took! A-Whoo-Hoo! Oh wow, you weren't lying when you said you brought the pretty! Awesome job. I love the simplicity of Clay in black and white. It's soothing to me somehow. In fact, I even have a gallery for black and whites at Claymaniacs. Check it out! And thanks for sharing your talents! I really enjoyed the slideshow of black and white pics. Thank you! I am such a sucker for black and white photos. Thanks for bringing the pretty.